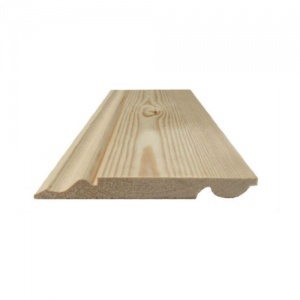 For a grand look, why not go for our 225mm x 25mm Double Sunk skirting? The product looks great in larger period properties giving a Victorian or Edwardian feel. Made for finest quality Swedish Redwood this product can be stained, varnished or painted to suite your chosen interior design scheme. Available in lengths up to 5.1m.